Here are some easy instructions to get you up and running with the XlsxWriter module. The first step is to install the XlsxWriter module. There are several ways to do this. If you downloaded a tarball or cloned the repo, as shown above, you should also have a directory called examples with some sample applications that demonstrate different features of XlsxWriter. The latest version of this document is hosted on Read The Docs. It is also available as a PDF. Once you are happy that the module is installed and operational you can have a look at the rest of the XlsxWriter documentation. 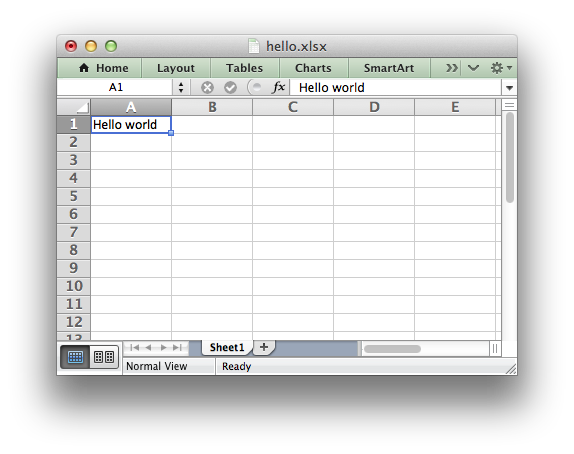 Tutorial 1: Create a simple XLSX file is a good place to start.